Stacy Tilton Reviews: Feel the Spirit of the Holidays Right from Your Shower! Feel the Spirit of the Holidays Right from Your Shower! I've always been one to pick scented body washes when I'm showering. I enjoy the scent as I shower and on my skin after I get out and towel off. It doesn't always last real long after my shower, but I still enjoy it while it does. I especially like to enjoy special scents during the holidays that aren't always available through out the rest of the year. 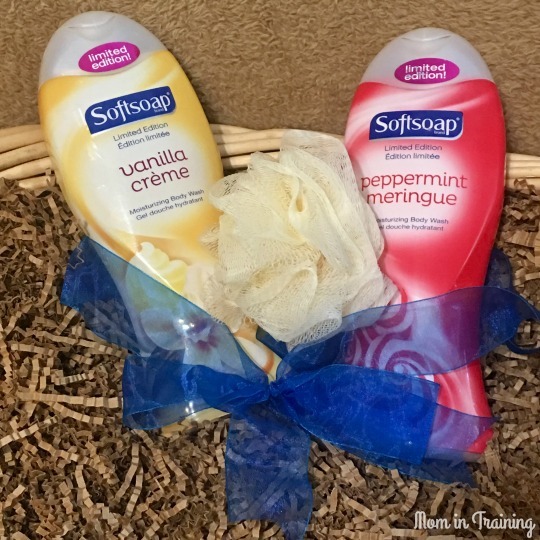 A few I got to check out for the holidays this year were Peppermint Meringue and Vanilla Creme from Softsoap. I love the Softsoap brand because they are always coming out with new products for me to enjoy, there's no getting board with the same ole body wash scents year round. Indulge in the festive scent of the holidays with our new Softsoap® brand limited edition Peppermint Meringue body wash. The moisturizing formula rehydrates dry winter skin, while the invigorating scent of peppermint sparks holiday spirit and leaves you prepared to celebrate. Bundle up in the comforting fragrance of vanilla with our new Softsoap® brand limited edition Vanilla Crème body wash. The calming scent will turn your shower into a winter retreat, while the moisture rich formula will keep skin soft and smooth all season long. Disclosure: I received compensation in the form of product from Colgate-Palmolive in exchange for my honest and unbiased thoughts. All thoughts and opinions stated are my own and are in no way influenced by my partnership with mentioned brands. I need to get some of that Peppermint. Peppermint is the scent of Christmas to me. I like to buy holiday scented products around Christmas time. I would love to try the Peppermint Meringue...I bet it smells wonderful in the shower! They both sound like scents I would like to use. I haven't seen these yet, thanks for sharing.